"Blondie Street", Burbank, CA. Maybe the bus gives it away. Photo courtesy of C'mon, Get Happy! The Sears Glen Falls from 1926. 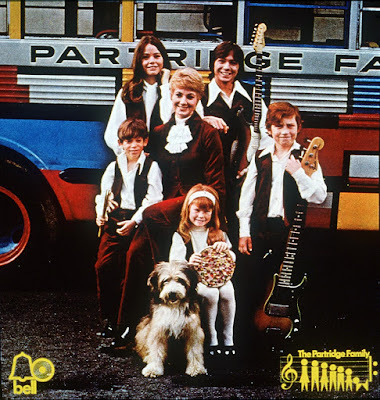 According to The Unofficial Columbia Ranch Site, The Partridge Family house was built in 1953 and deliberately modeled after the Sears Glen Falls. 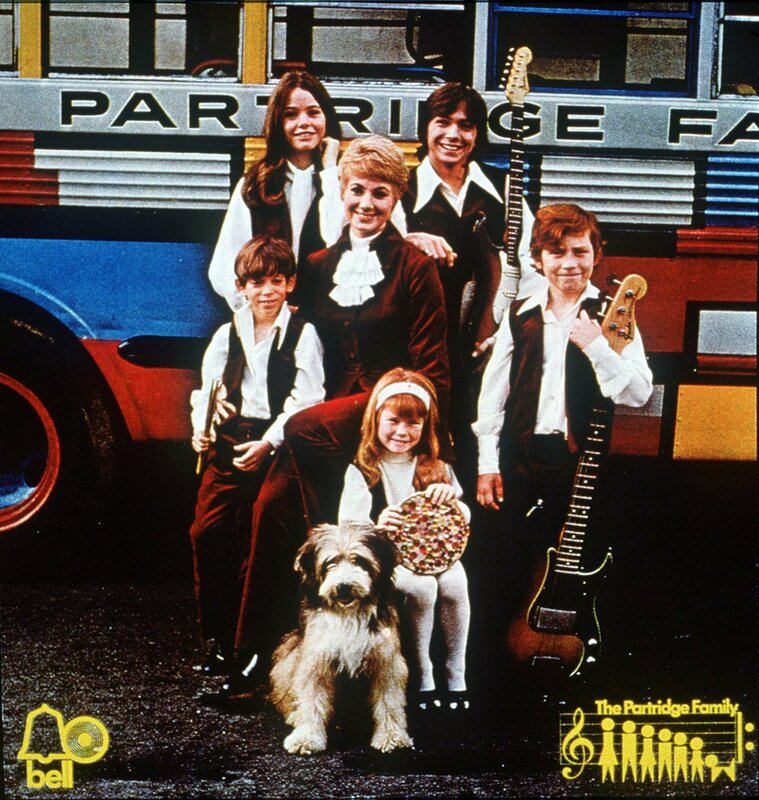 The Partridge Family, owners of the "Glen Falls" in Burbank. Another shot of the house. Photo courtesy of RetroWeb. The house originally had the columns on the front right side, but they were removed in the late 1950's when the porch was enclosed. 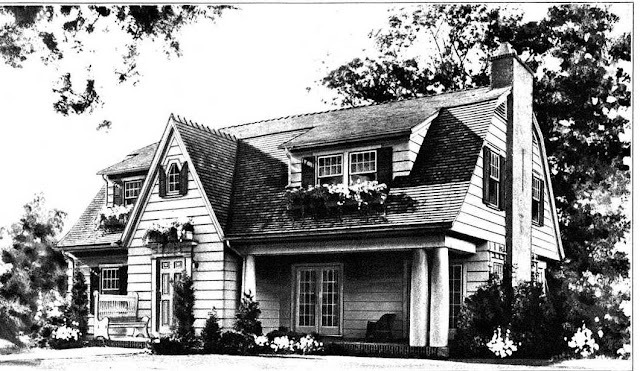 The front gable was originally pointed, just like the Glen Falls, but was rebuilt with a tapered peak after a fire in 1970. 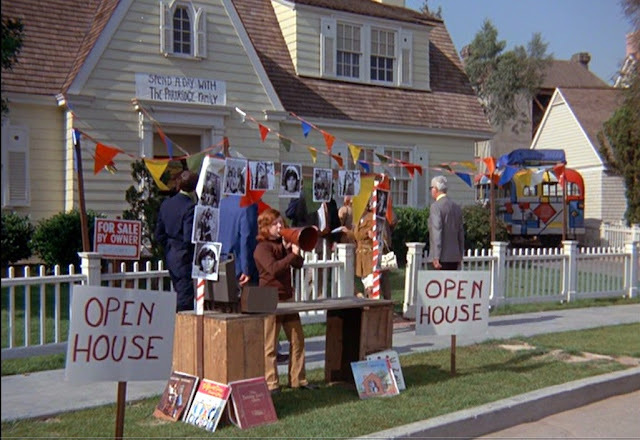 Danny promotes the house in the "For Sale by Owner" episode (1972). The interior shots on The Partridge Family were shot elsewhere, since the inside of the house is unfinished. 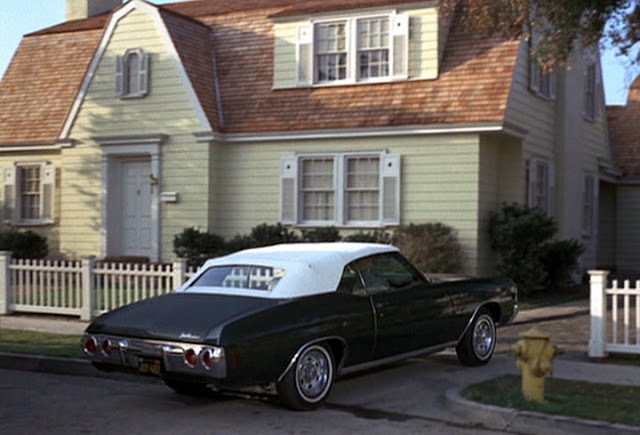 The house was featured in many TV shows and movies, including Bewitched, Dennis the Menace, Father Knows Best, The Donna Reed Show, and The Last Hurrah. 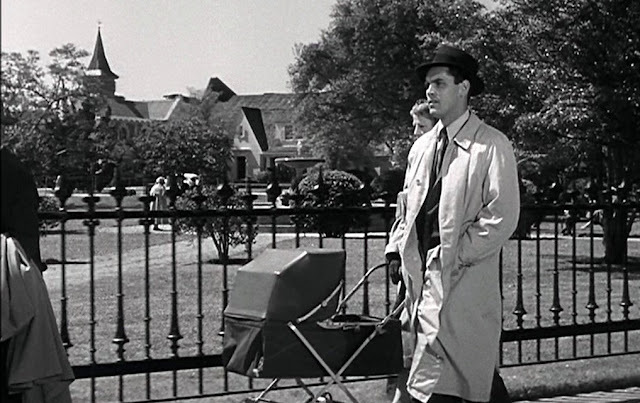 There's the house in the background of The Last Hurrah (1958) and it has the original pointed front gable. You might recognize the fountain as the one used in the opening credits of Friends. 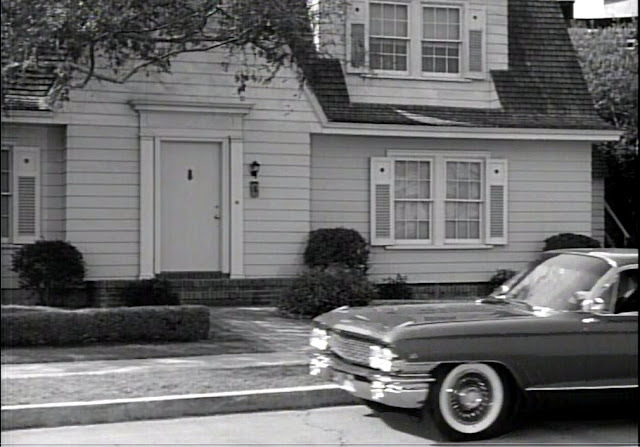 The house in Dennis the Menace (1962). The house has been through many incarnations since The Partridge Family and today is unrecognizable as a Sears house. That is very cool info!